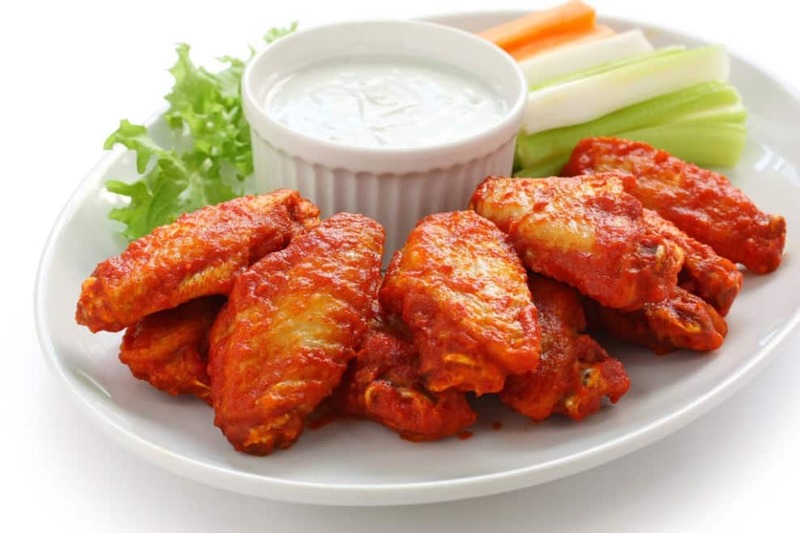 The secret to truly crispy oven baked wings is tossing the wings in baking powder and baking it on low first to render out the fat before increasing the heat to very high to make the skin crispy. These crispy wings are tossed in a classic honey garlic sauce. **IMPORTANT** Use Baking Powder not baking soda / bi-carb soda! Puh-lease be careful to use baking powder (the stuff you use in muffins and pancakes to make them rise!) - if you use baking soda / bi-carb soda, it will be INEDIBLE!! It is really, really yuck! 2 tbsp baking powder NOT BAKING SODA / BI-CARB SODA!! If you are organized enough, uncover the chicken wings and leave them in the fridge for a few hours to dry out. Otherwise, use a paper towel to pat the wings dry. Adjust oven racks to upper-middle and lower-middle positions. Preheat oven to 250F/120C. Line a baking tray with parchment paper. Spray with oil spray. Place the wings separately on each pan you use and season both sides. They should just fit snugly. They will shrink when they cook because the fat renders out so don't worry if they look too snug. Place wings on the lower middle oven rack and bake for 30 minutes. Move wings up to the upper middle rack and increase the oven temperature to 425F/220C. Bake for 20-30 minutes, rotating the tray halfway through and Turn over the wings. Do this 2-3 times or until chicken is crispy. Remove baking tray from the oven and let it stand for 5 minutes. Toss wings in sauce of choice (or serve it on the side to dip / drizzle on the wings), then serve. Serve with Celery sticks and/or Carrots, potato chips and Blue Cheese Dressing. 1. You will notice once the wings come out of the oven that they are smaller than usual. This is because the fat under the skin melts off (renders out) while baking in the low oven. 2. The wings will not bake to a dark golden brown unless you leave them in for 1 hr+. They bake to a golden brown. You will know they are done because the skin will be lovely and crispy.